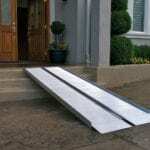 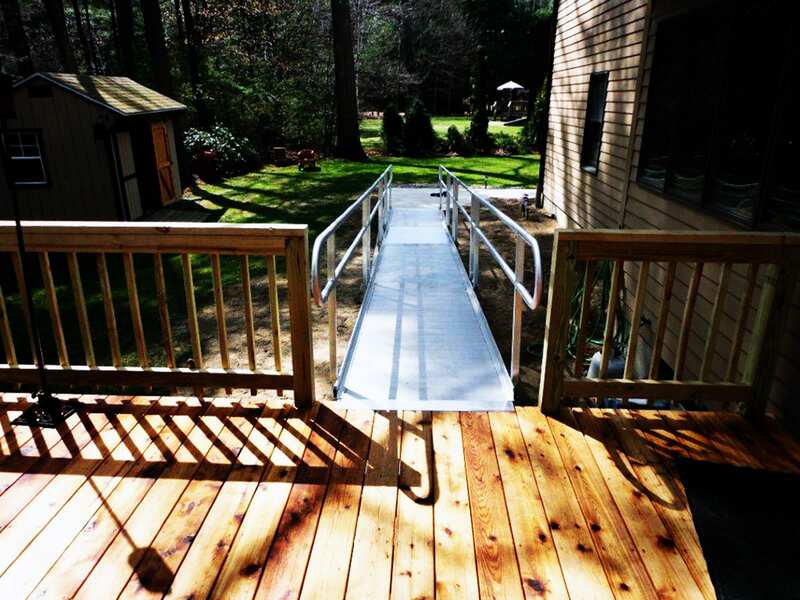 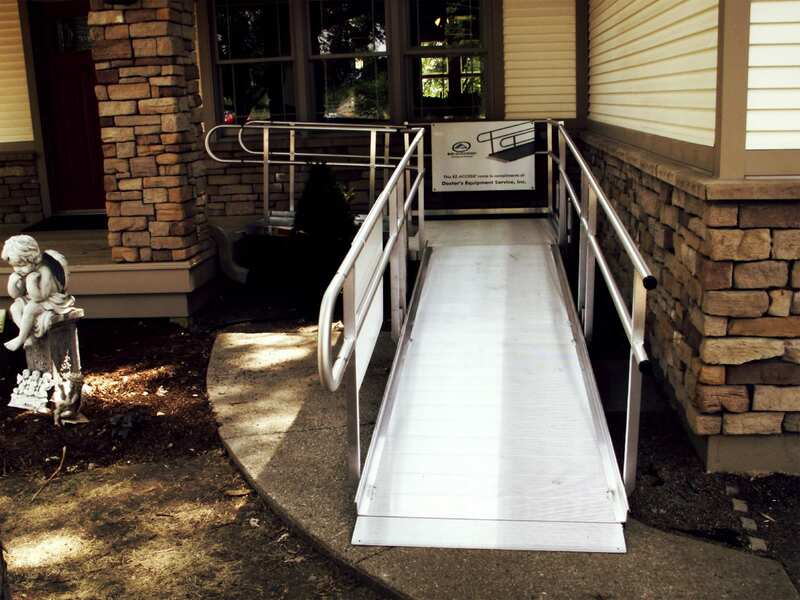 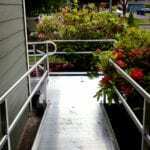 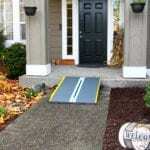 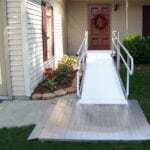 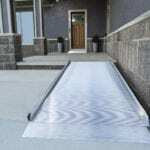 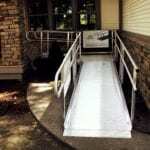 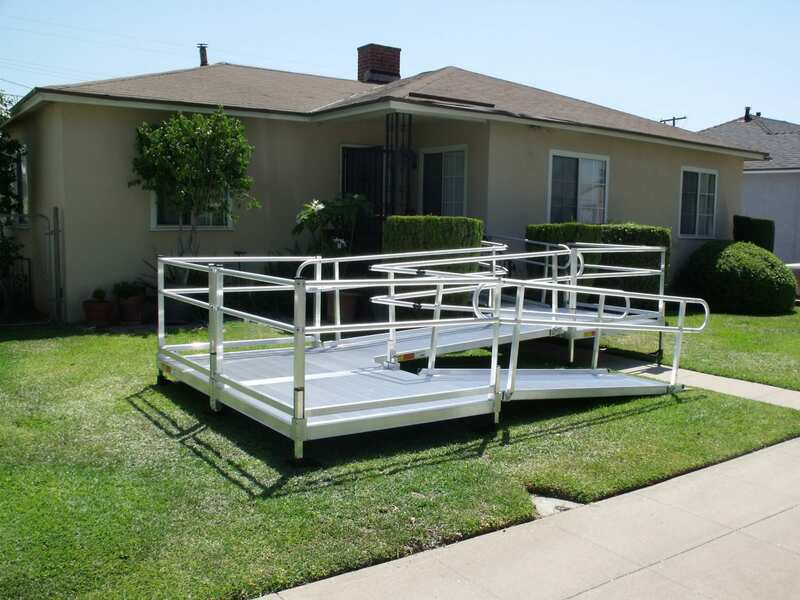 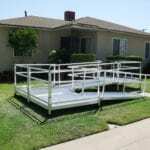 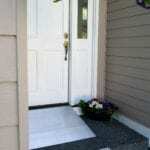 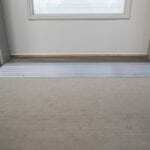 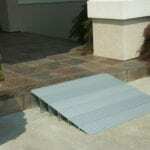 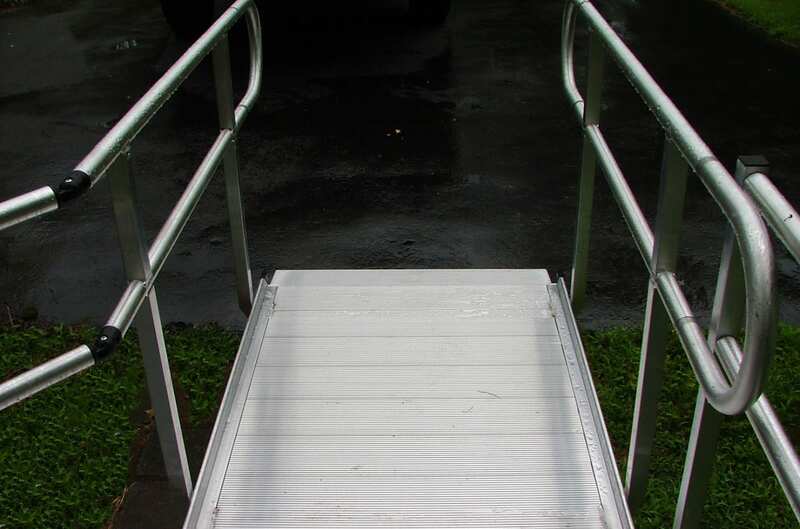 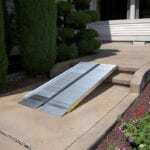 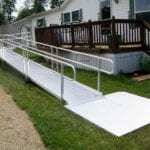 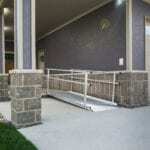 At Ideal Solutions, we know how to sell, install, and maintain the perfect ramp for your specific situation. 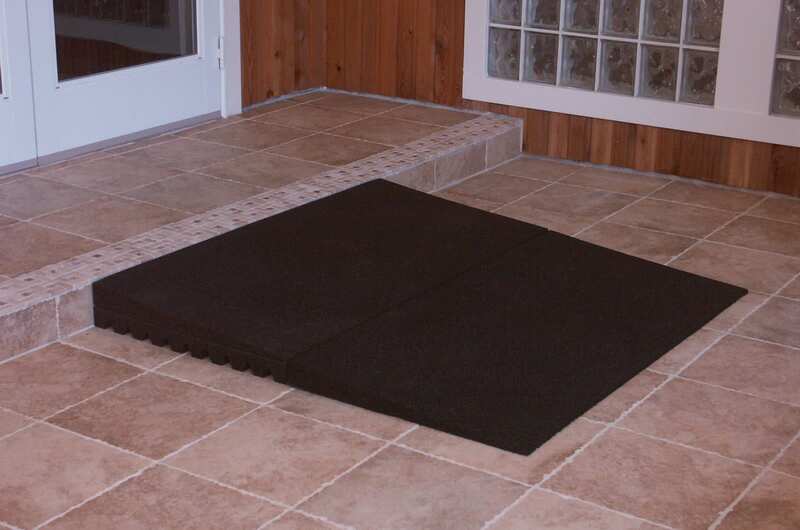 We partner with the best vendors, and have a full line of products that will fit your needs perfectly. 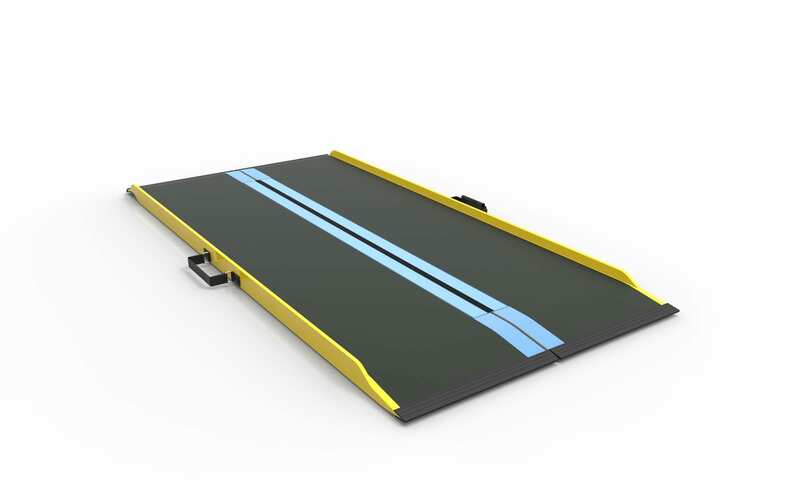 Check out some of the ramp products that we have available. 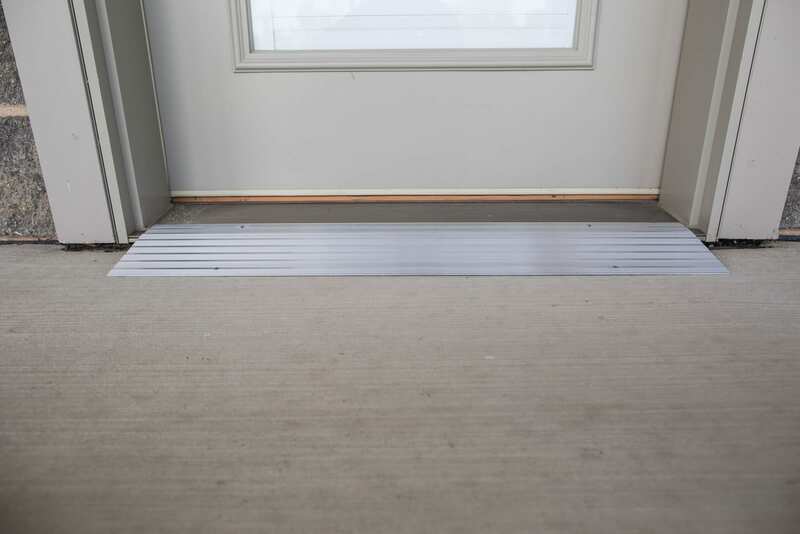 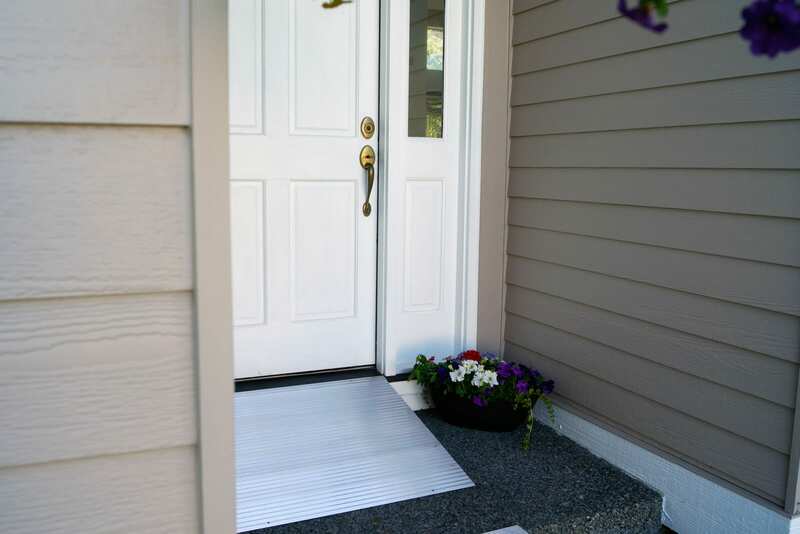 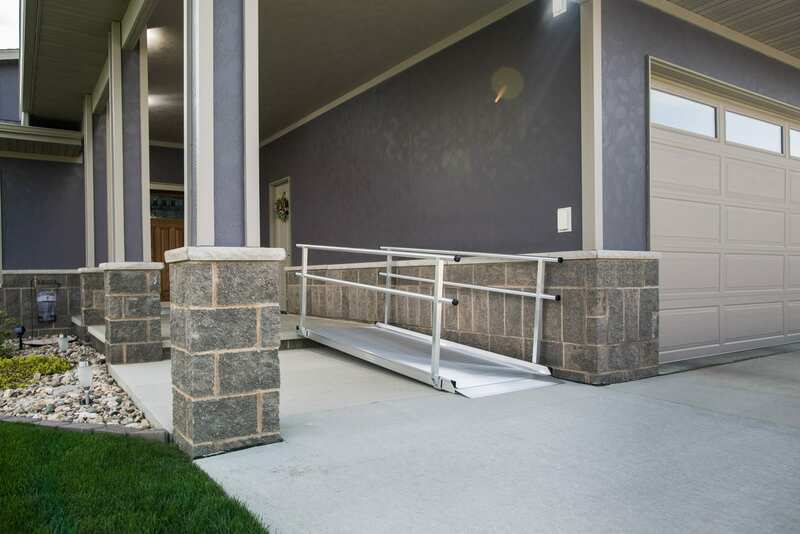 With Pathway Modular Ramps, you can be confident that accessibility to your home will be provided correctly, completely, and safely. 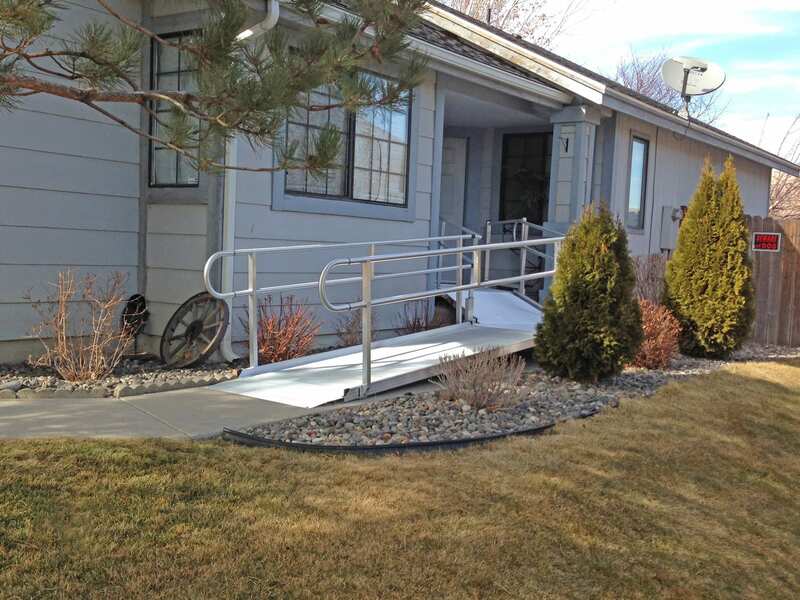 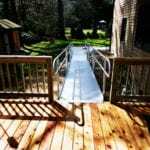 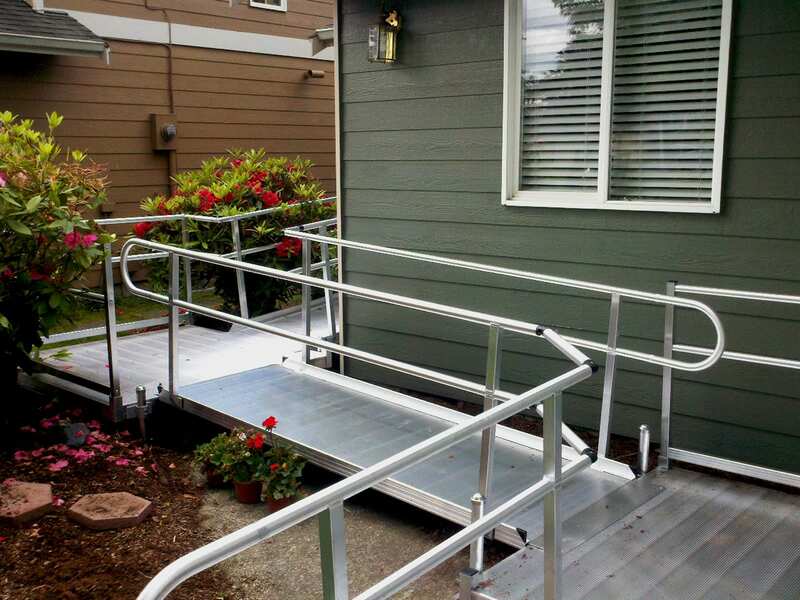 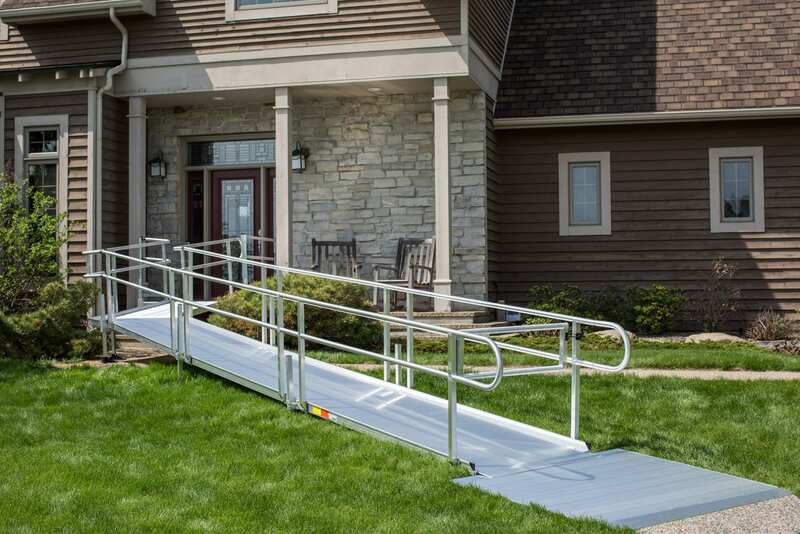 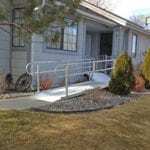 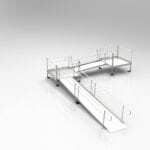 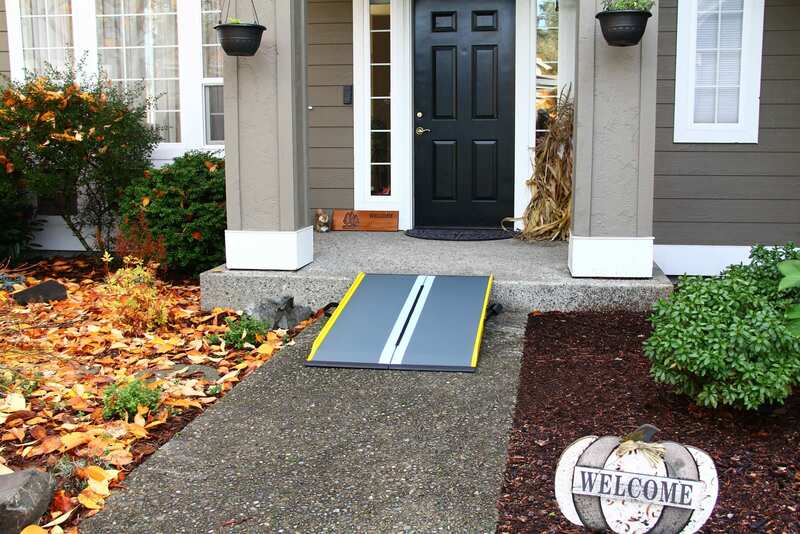 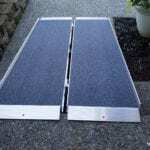 Pathway Modular Ramps are designed to provide the perfect option for residential settings when you’re looking for something more sturdy and permanent that a portable ramp. 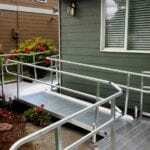 This American-made modular ramp may be combined with platforms and or stairs to create a custom solution for your home. 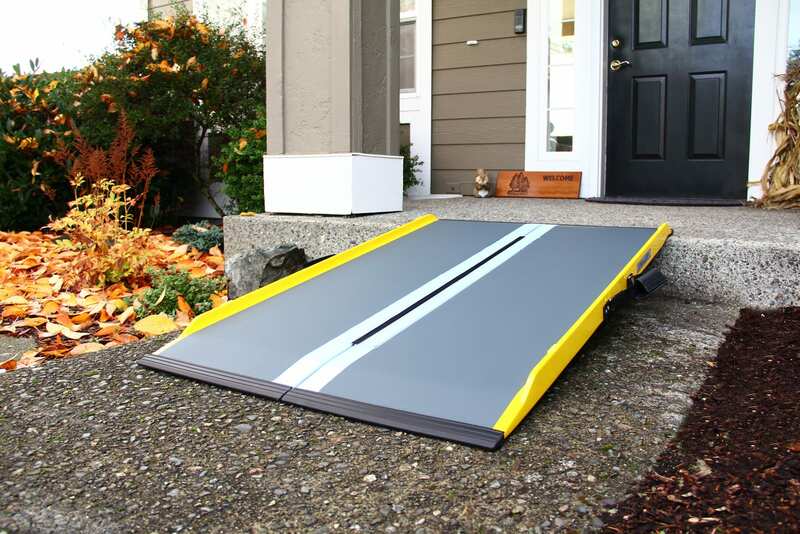 Made of durable aluminum. 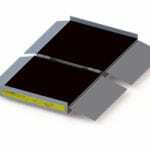 Powder coating options are also available. 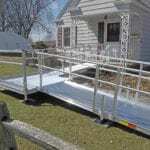 Call customer service for additional information, or click here to find your local EZ-ACCESS dealer. 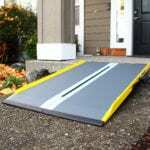 The Gateway™ Solid Surface Portable Ramp – the 1-piece design means no assembly or moveable parts; just set the ramp in the desired position, and it’s ready to use. 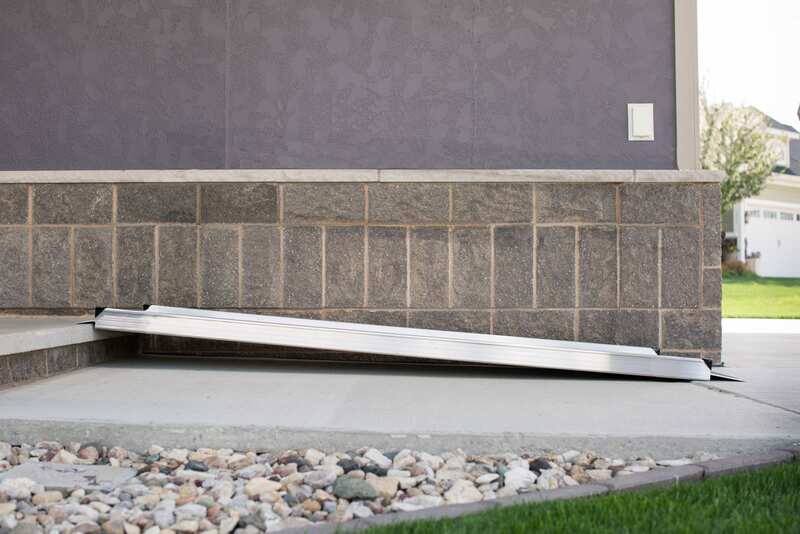 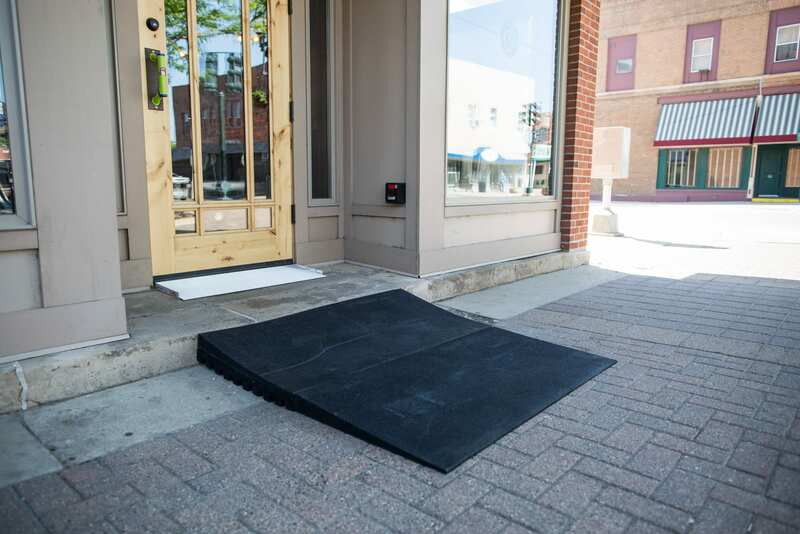 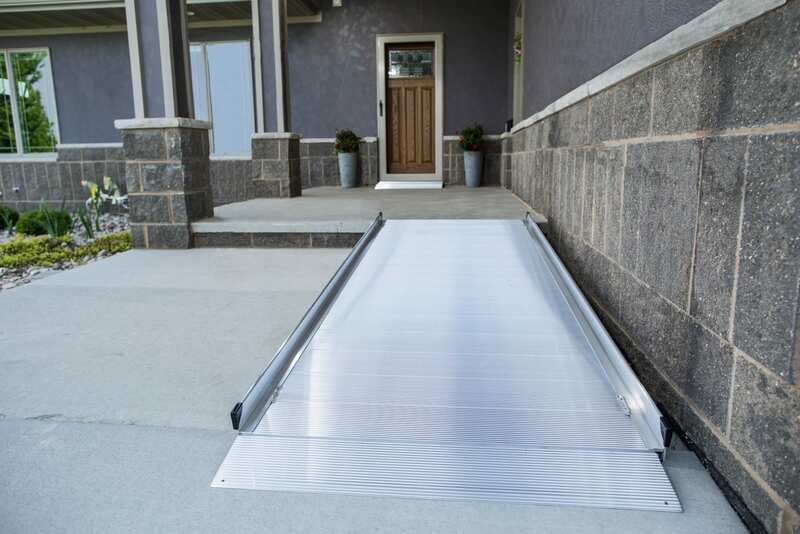 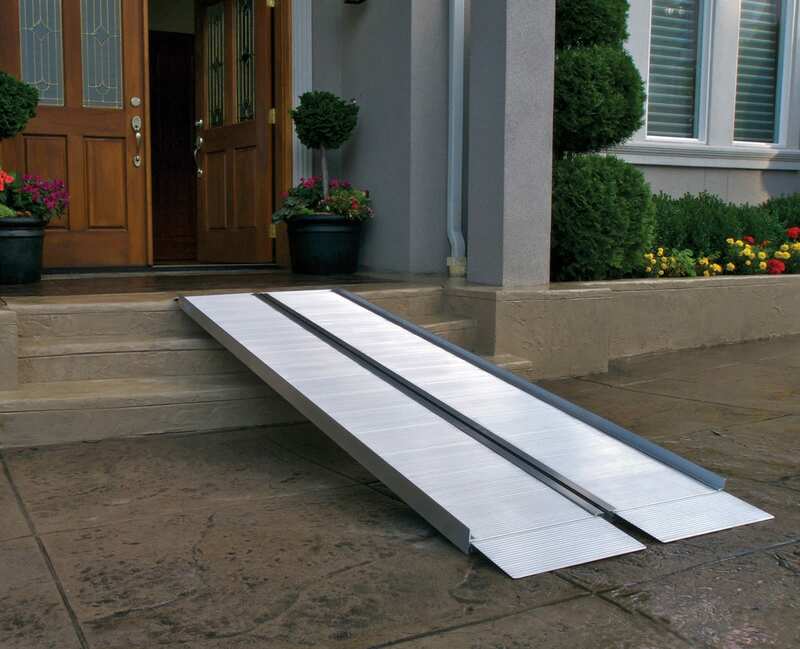 The Gateway is made of durable aluminum, so it will not rust, rot, or deteriorate from the outdoor elements, making this the perfect ramp to improve access to your home or business. 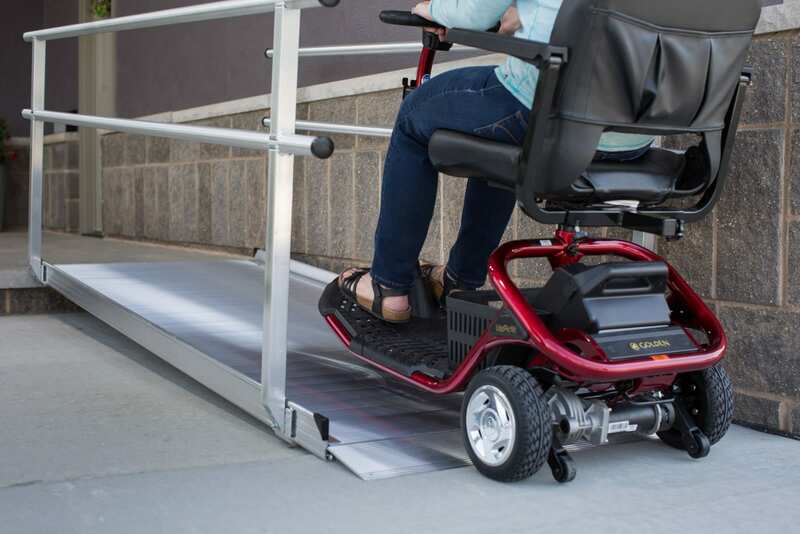 When mobility needs extend beyond the scope of a conventional portable ramp, the Gateway is your answer. 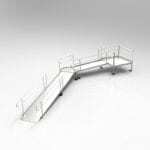 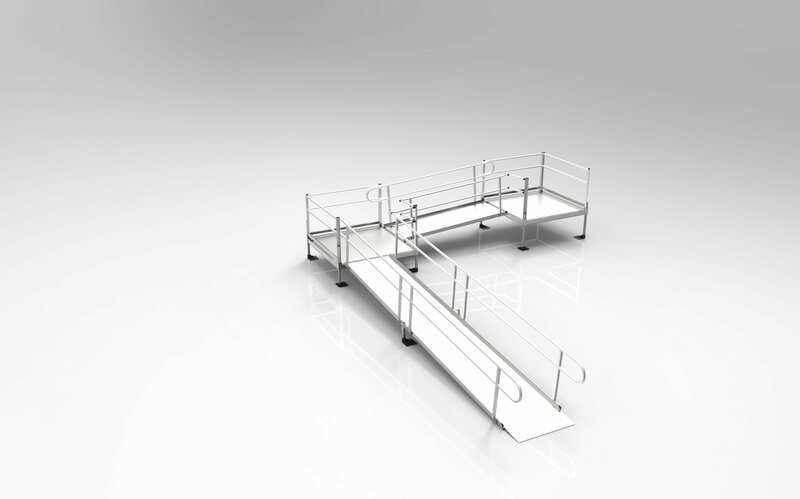 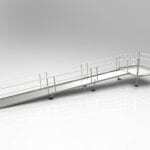 Available with or without handrails. 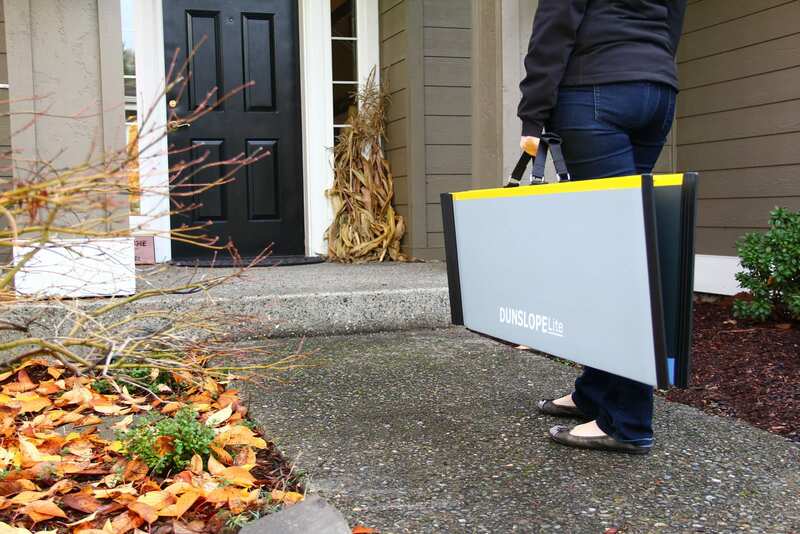 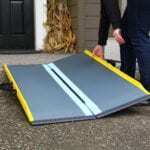 The Suitcase Singlefold AS Ramp – this portable single-fold ramp is one of our most user-friendly portable Suitcase ramps. 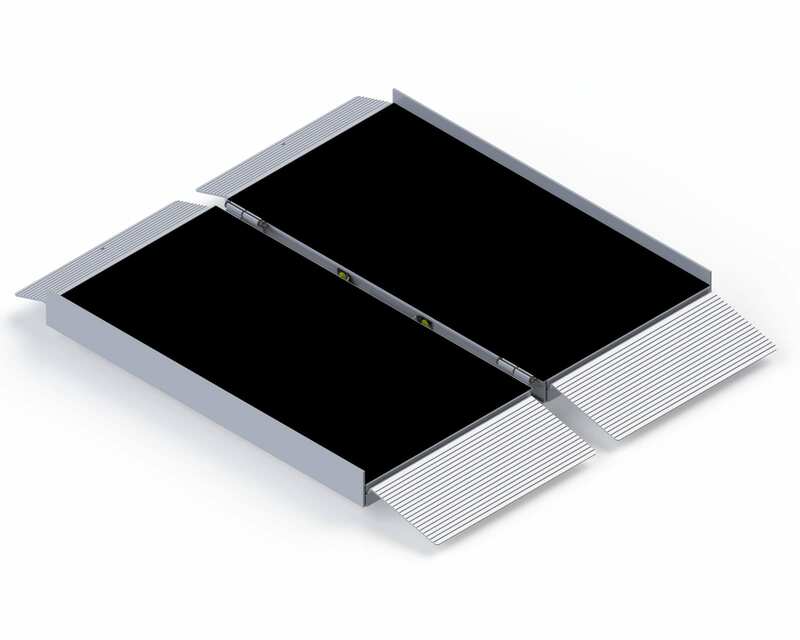 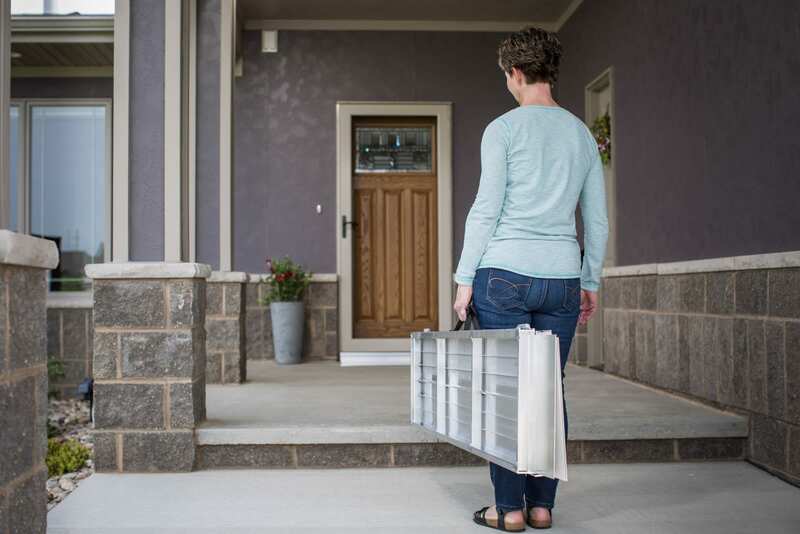 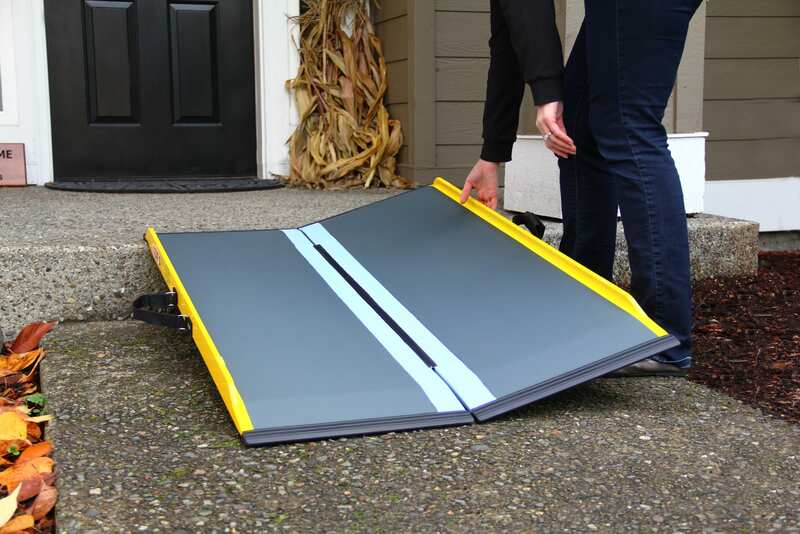 After taking out two hinge pins, users are able to easily separate the portable single-fold ramp into two lightweight sections with ergonomic handles. 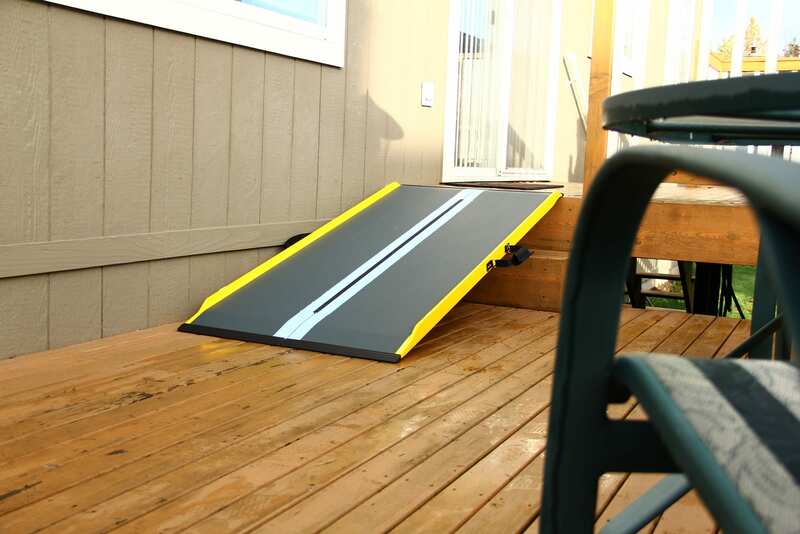 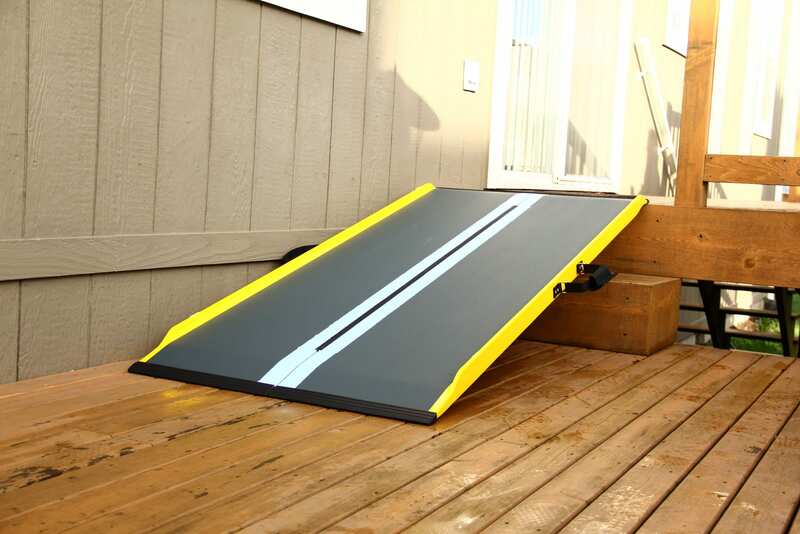 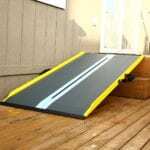 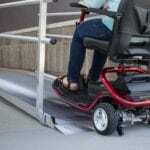 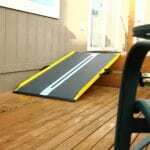 This portable ramp is also compatible with the Top Lip Extension. 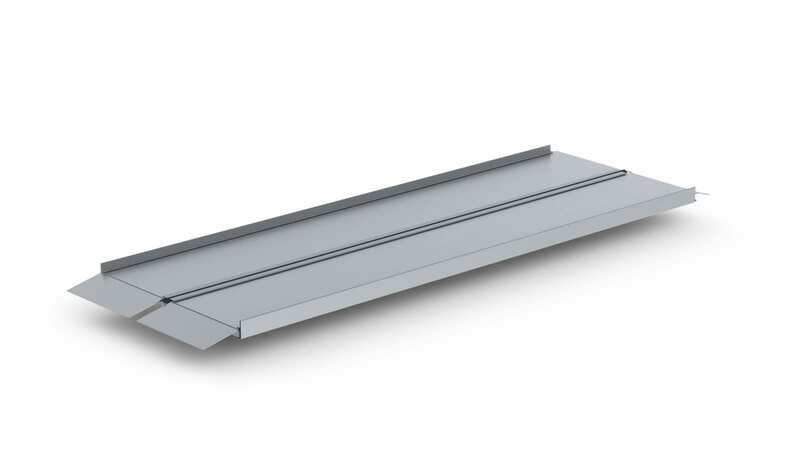 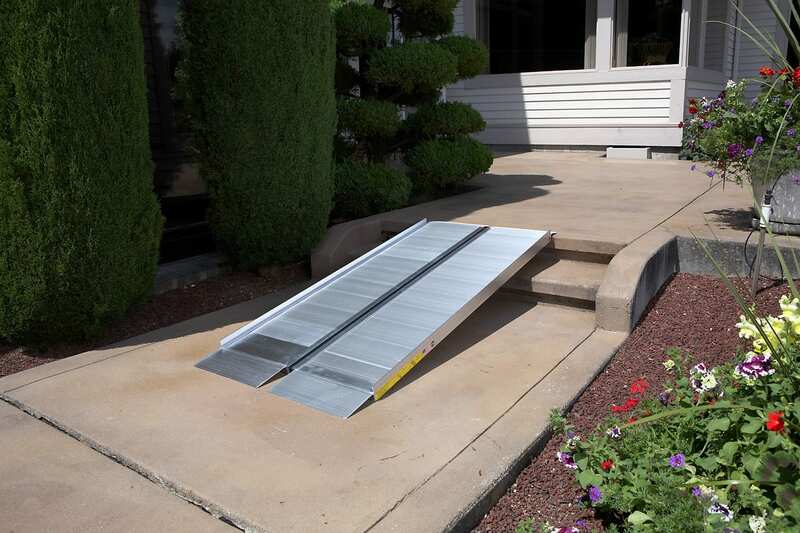 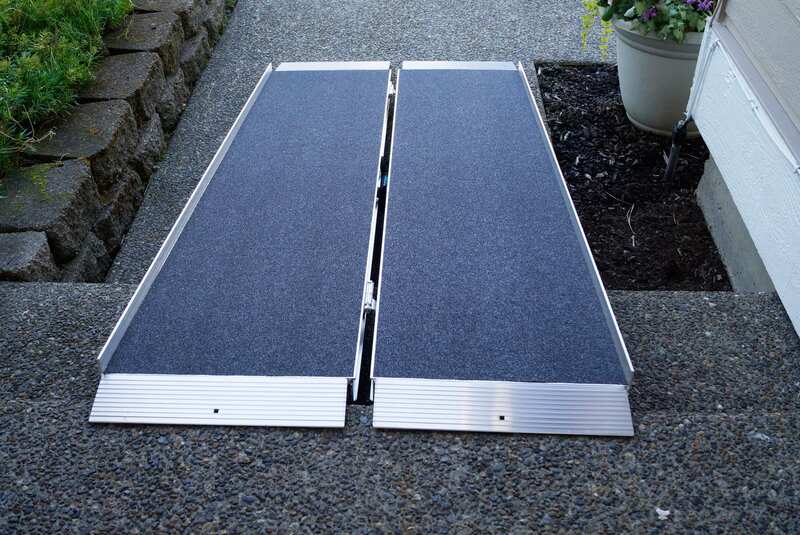 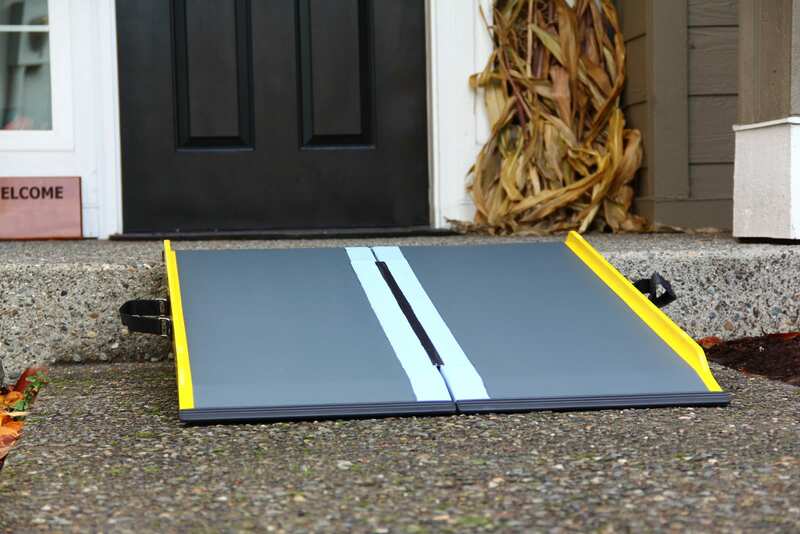 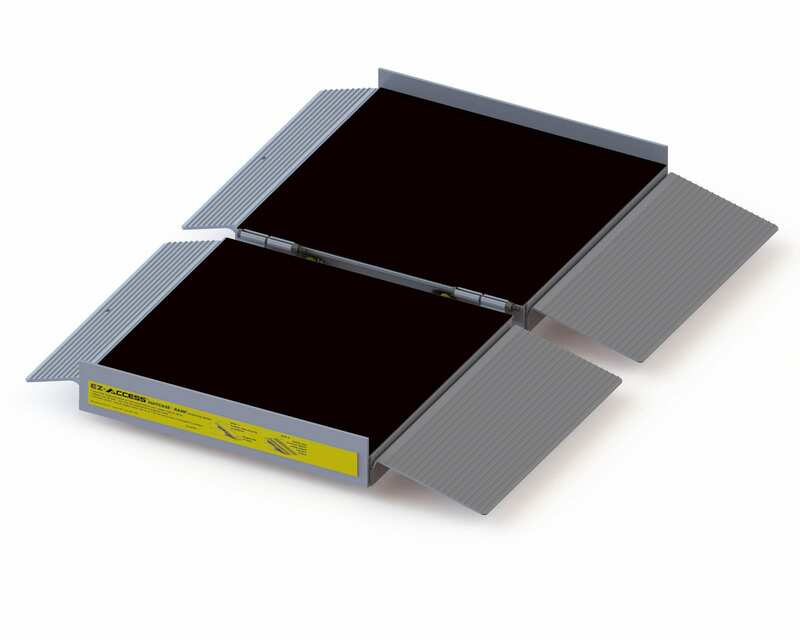 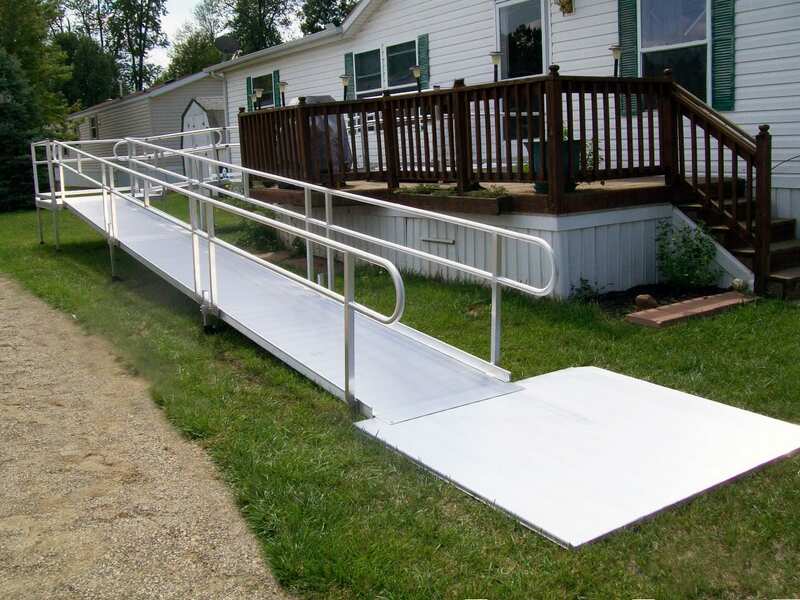 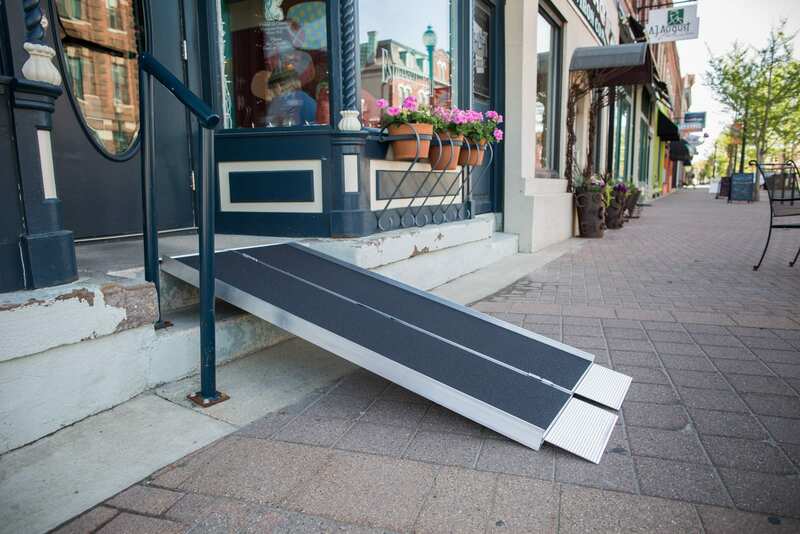 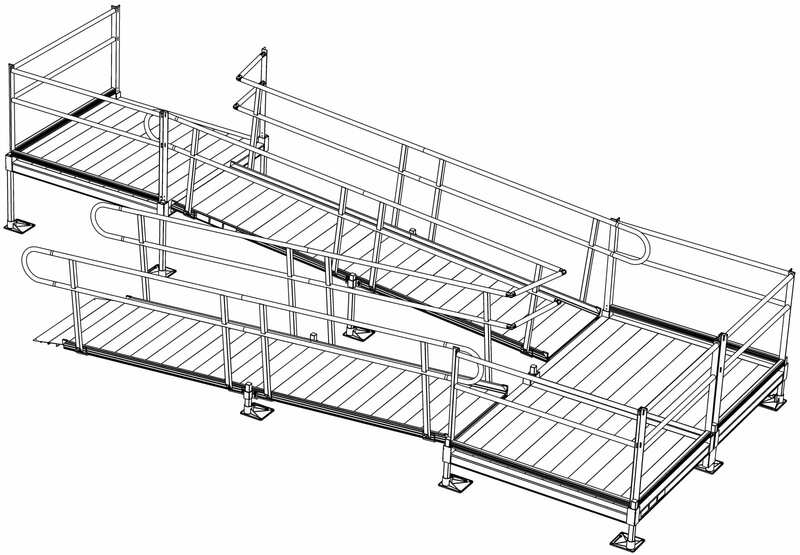 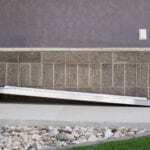 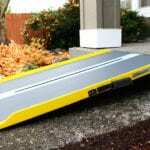 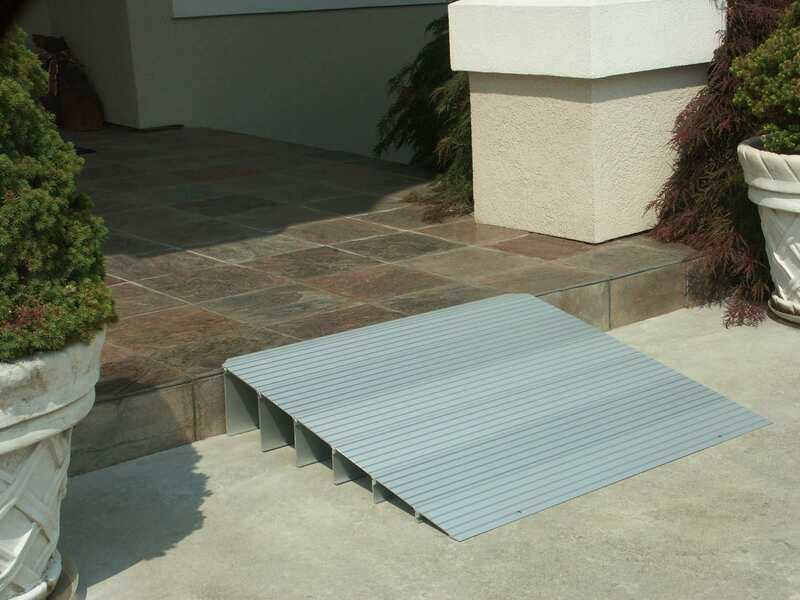 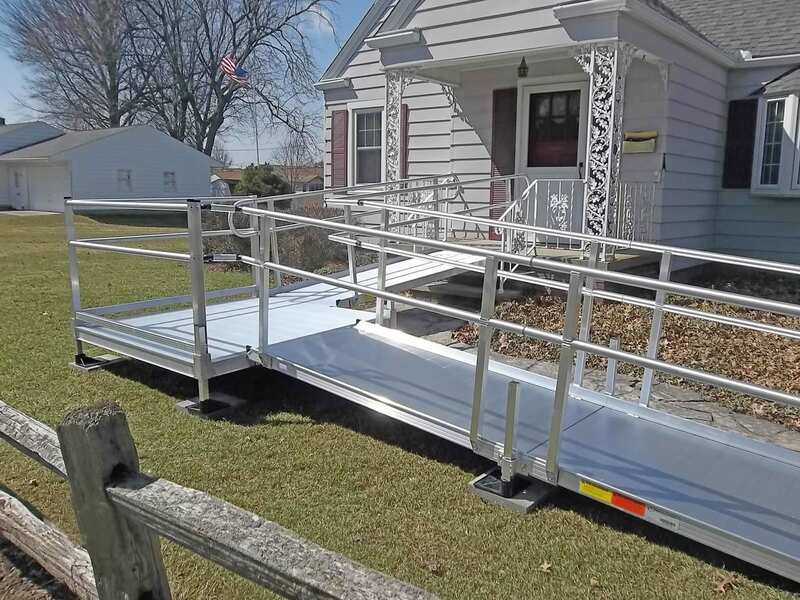 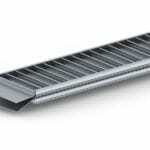 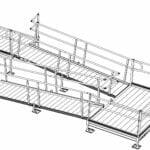 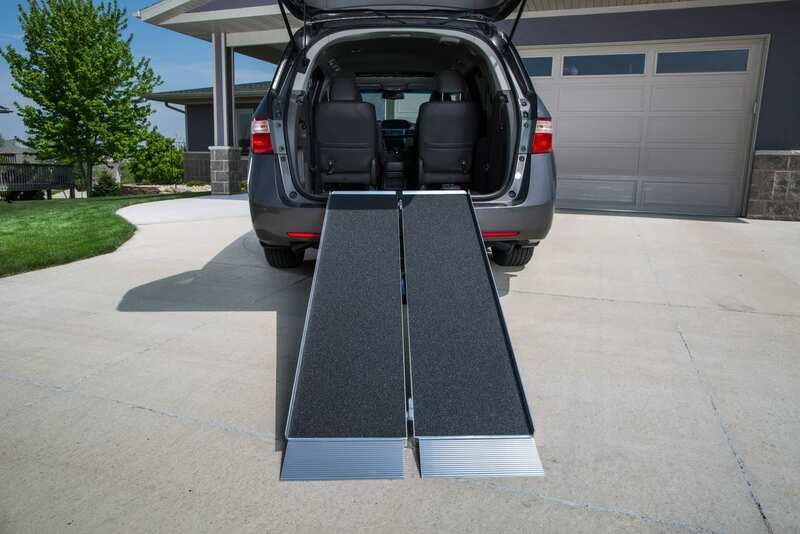 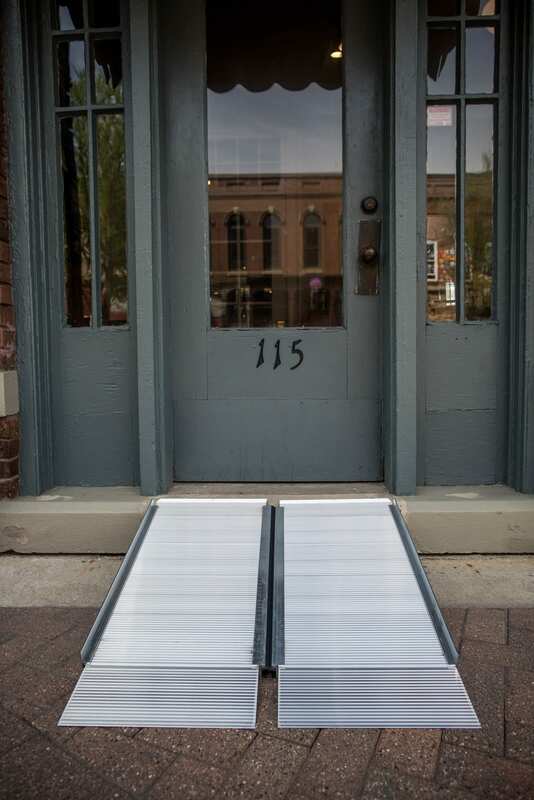 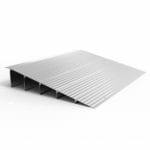 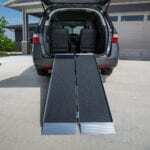 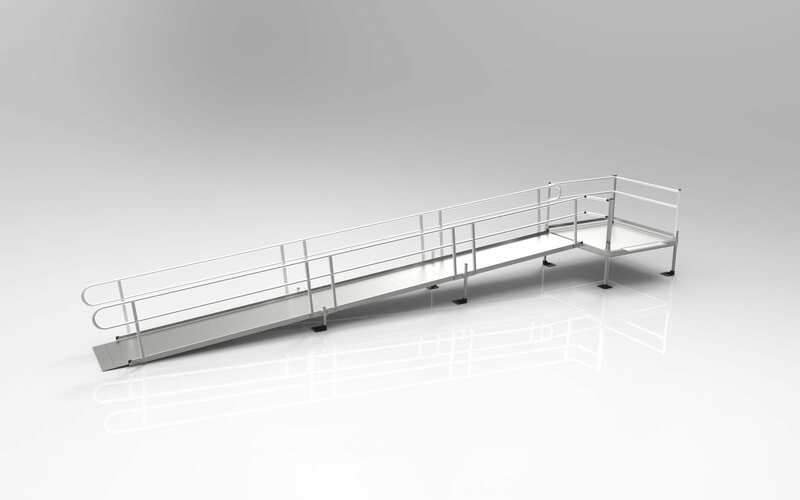 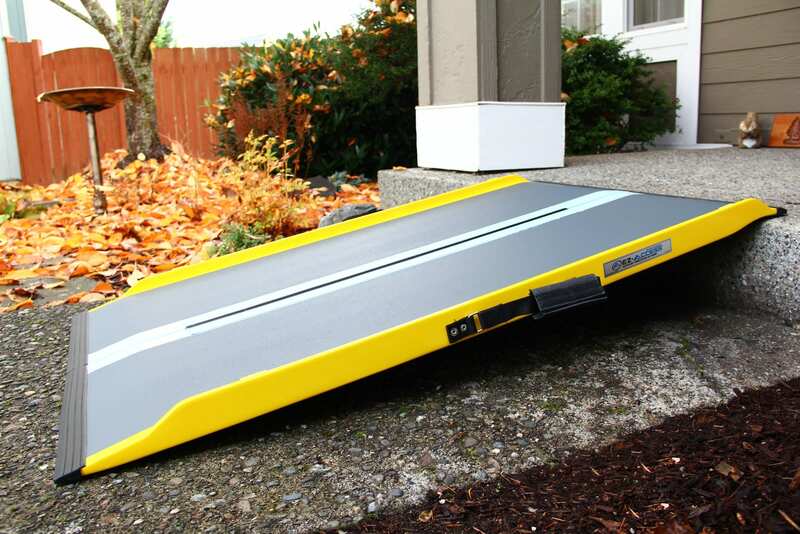 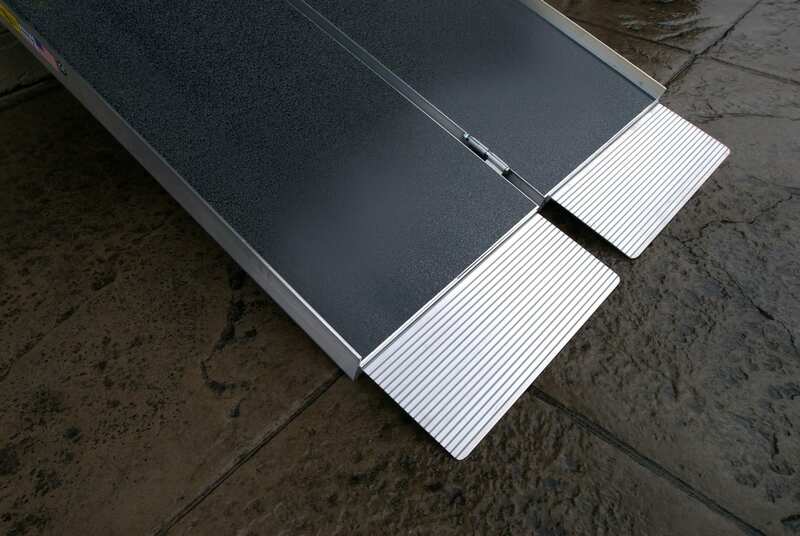 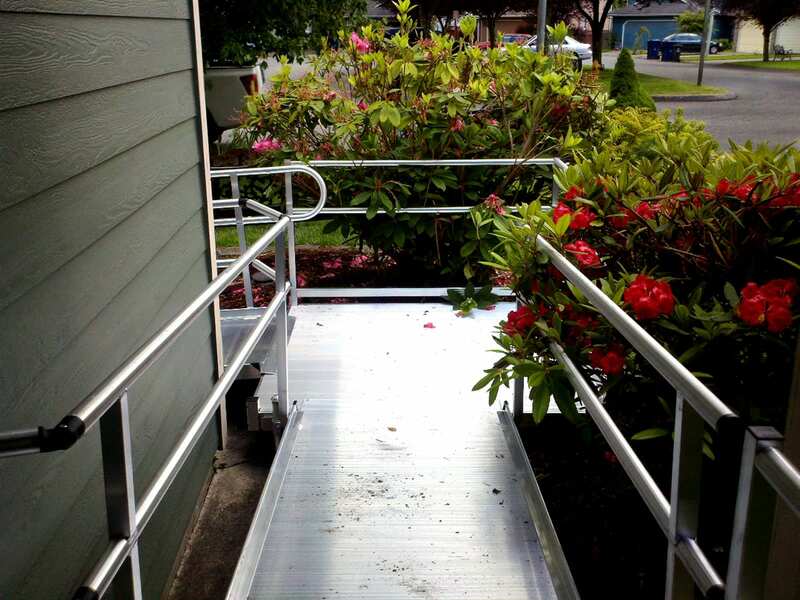 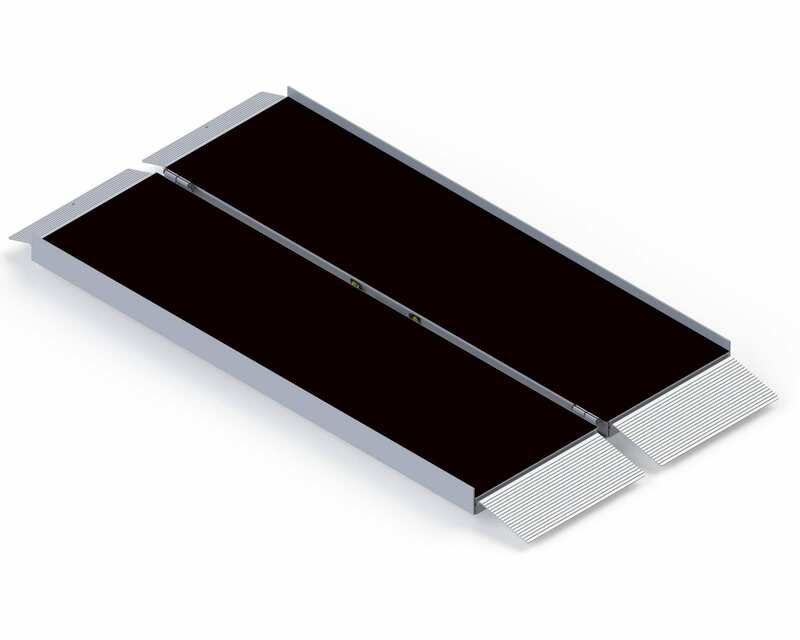 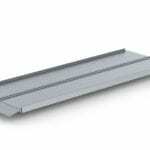 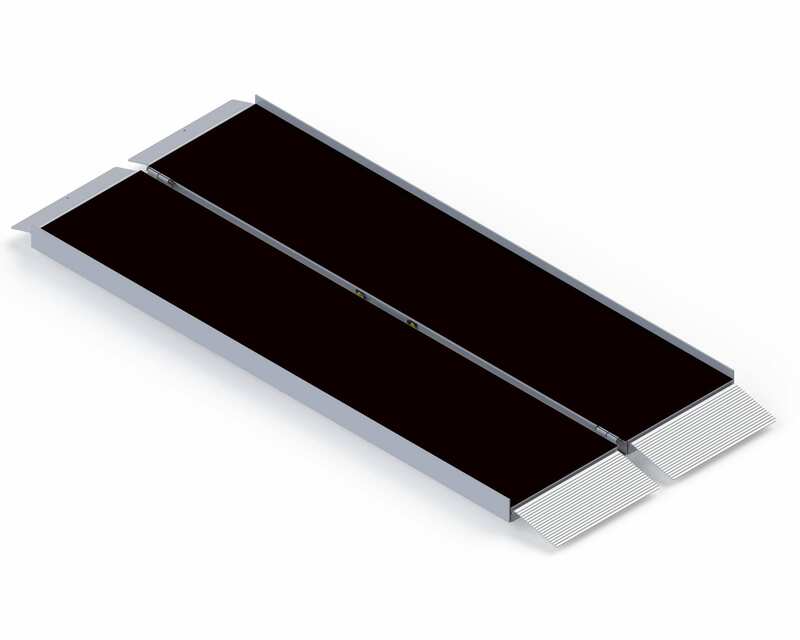 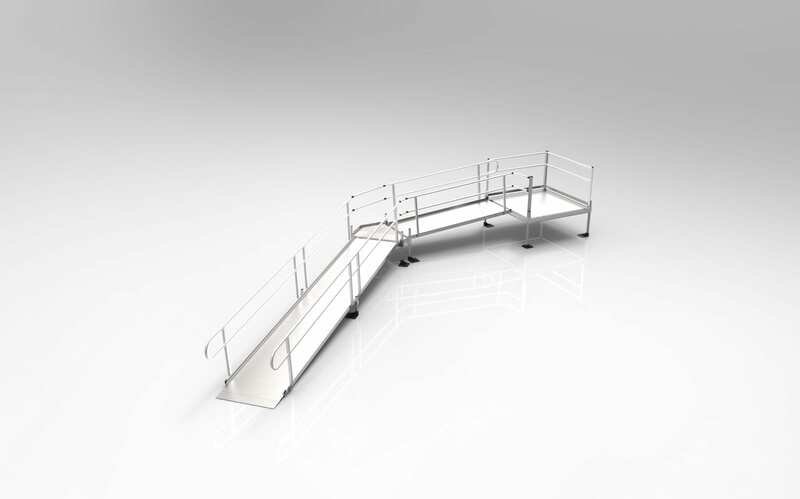 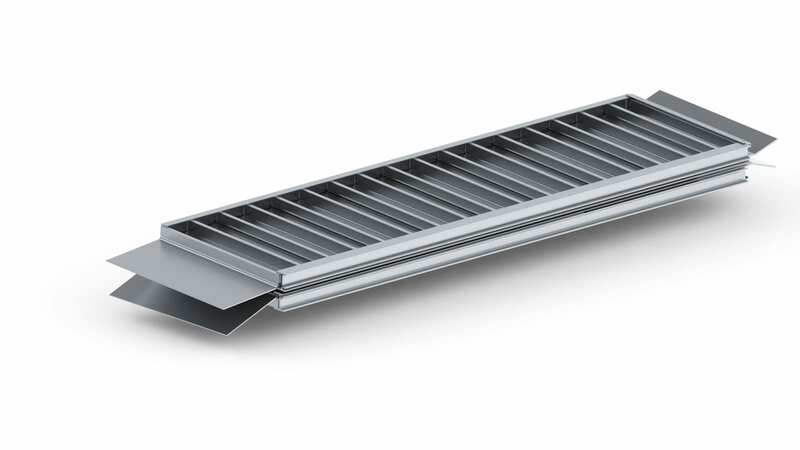 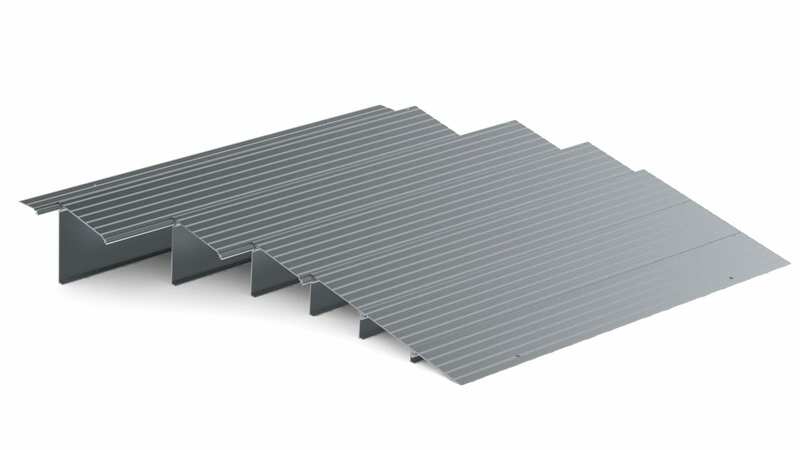 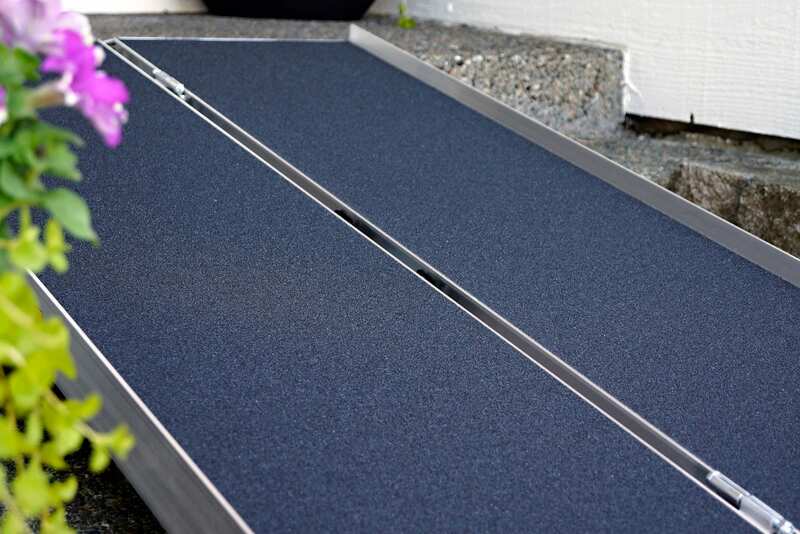 Learn more about this convenient portable single-fold ramp by clicking on each tab. 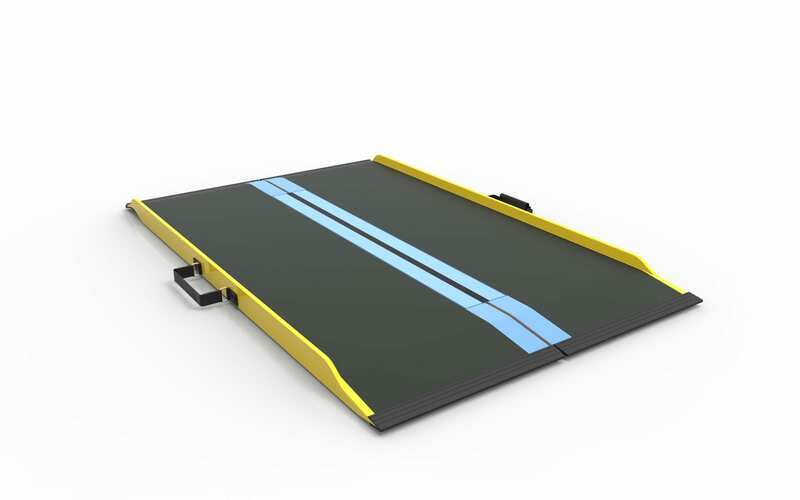 The Suitcase Singlefold GF Ramp is made of glass reinforced graphite fiber and is the lightest folding ramp in the industry. 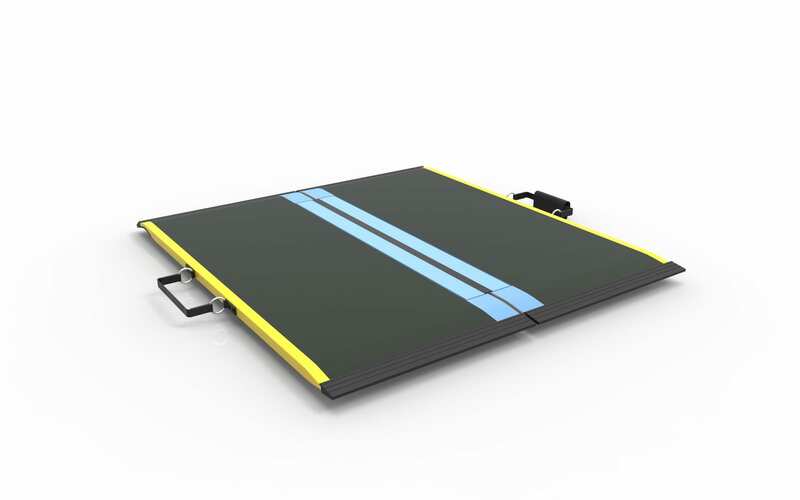 The Suitcase Singlefold GF Ramp is fitted with ergonomically-designed handles and a non-protruding hinge that allows you to carry it anywhere. 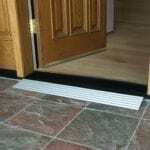 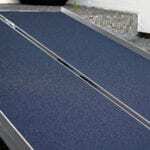 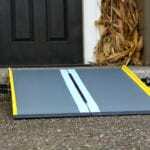 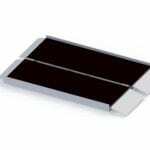 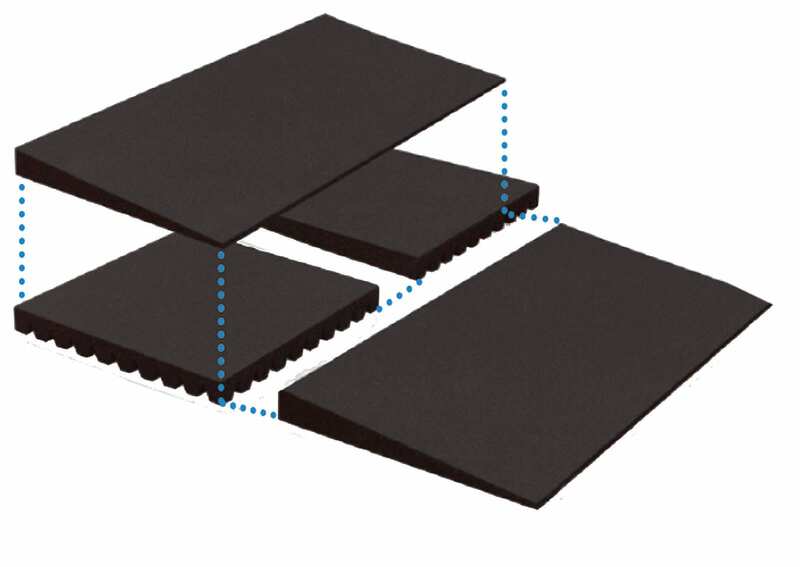 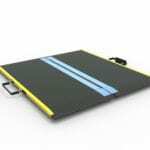 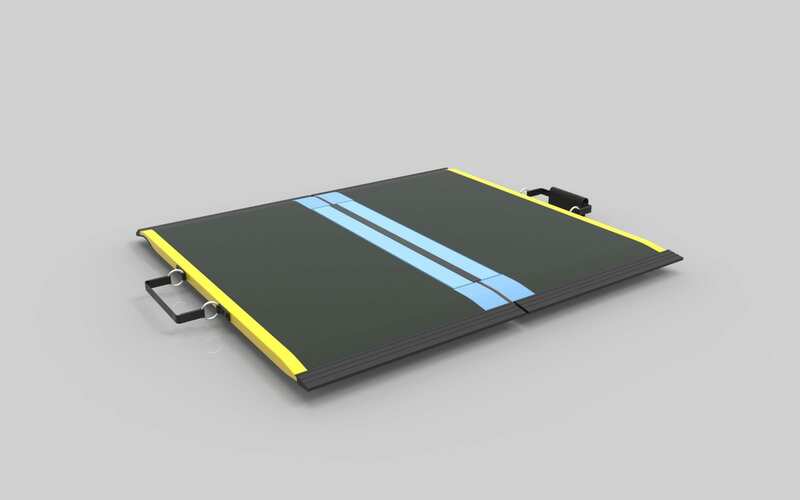 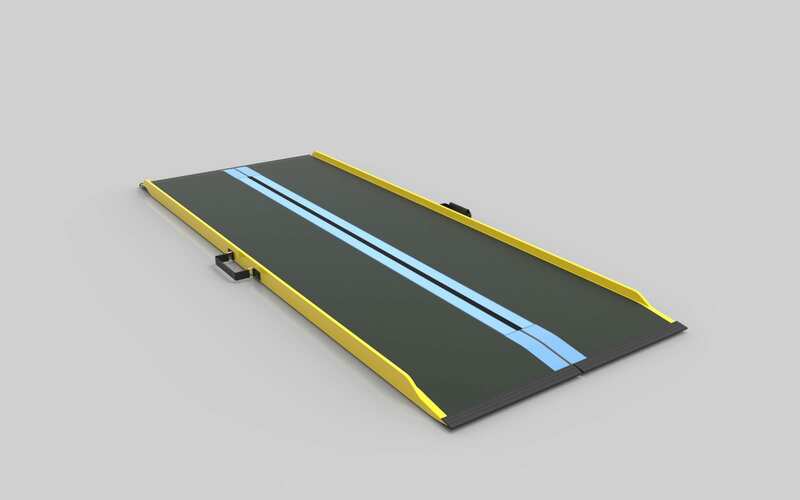 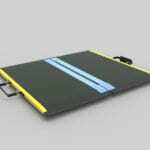 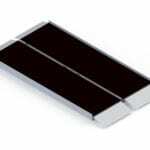 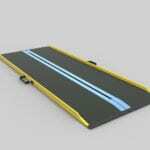 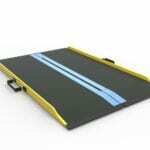 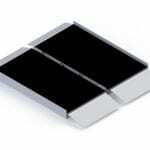 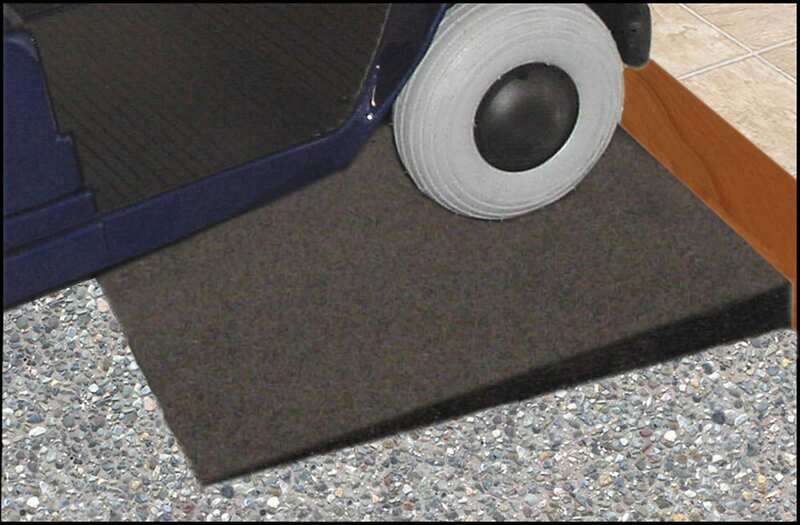 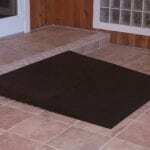 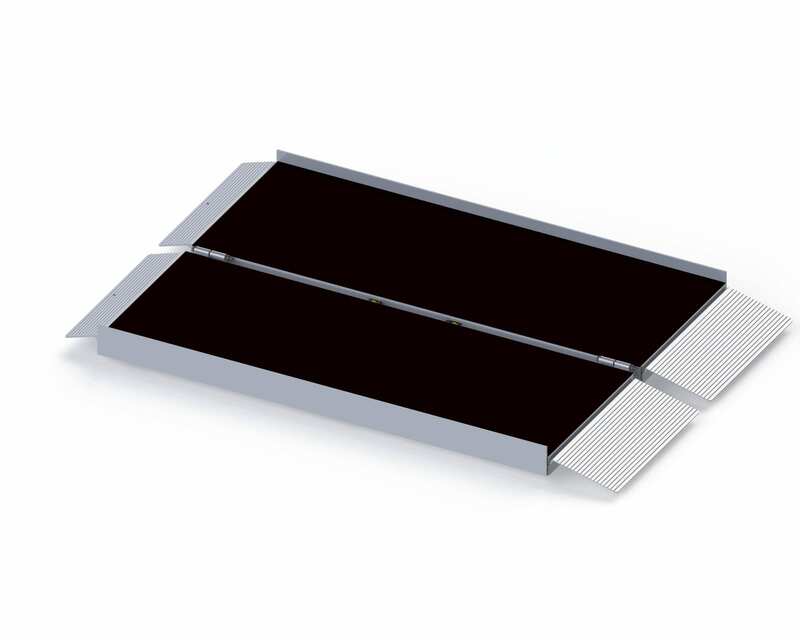 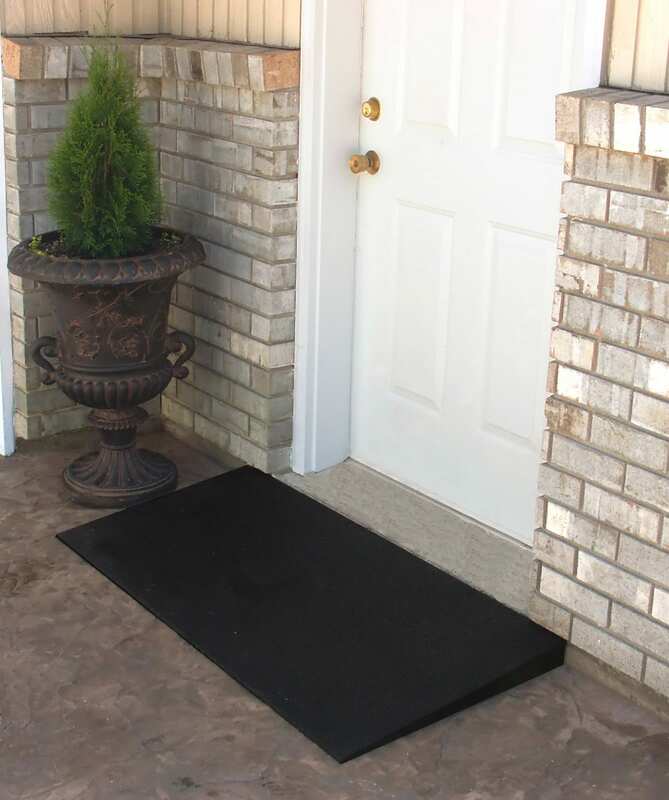 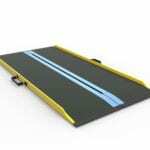 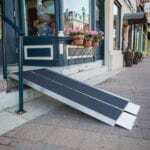 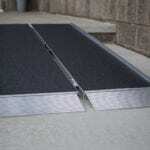 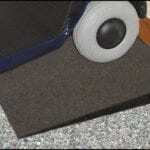 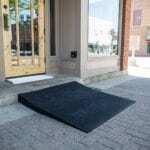 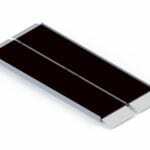 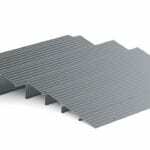 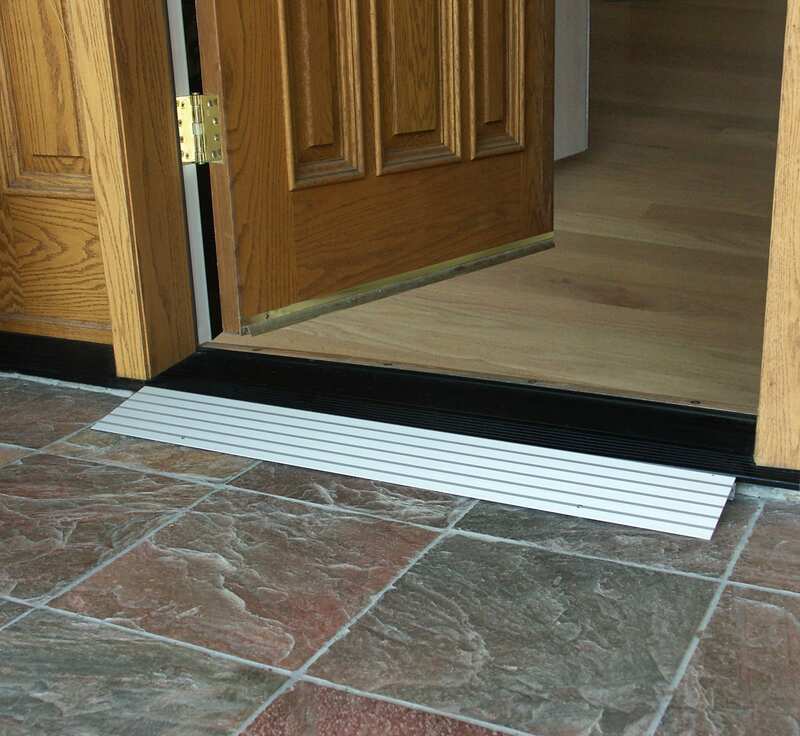 The ramp is available in 5 sizes and features an applied non-slip surface for excellent traction. 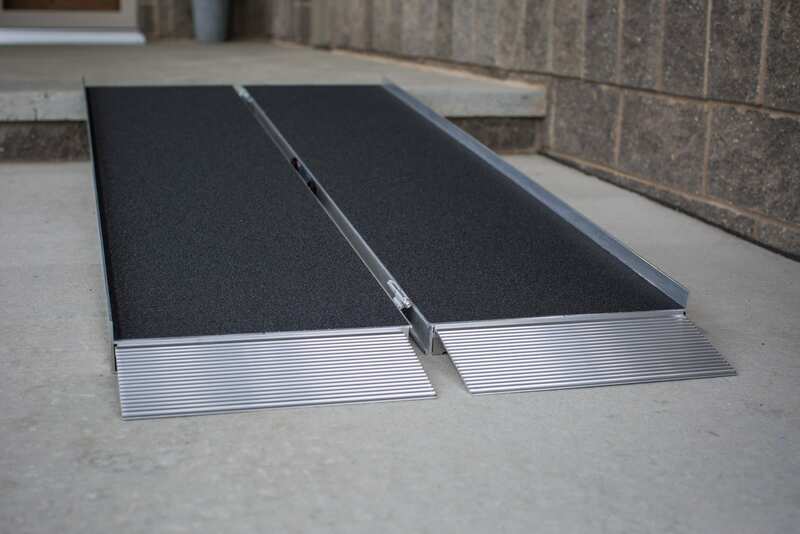 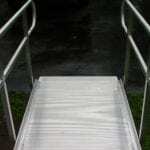 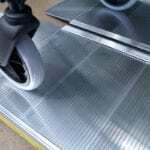 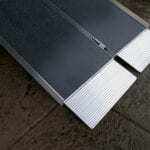 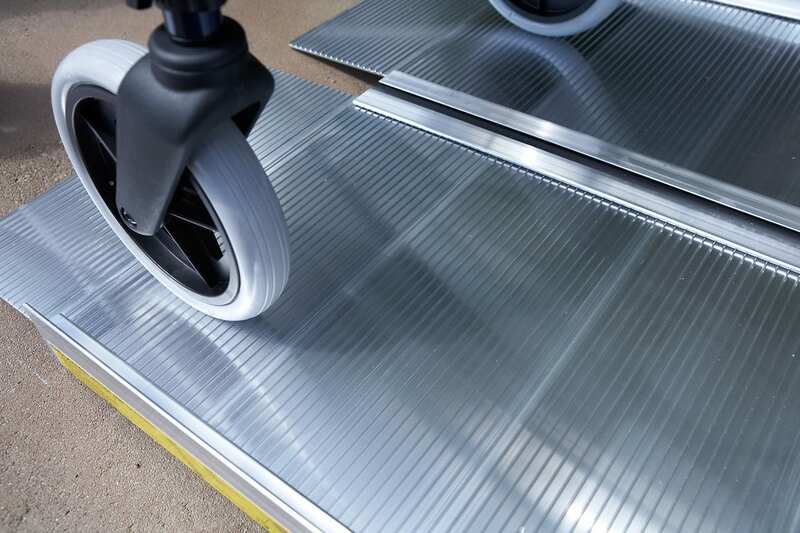 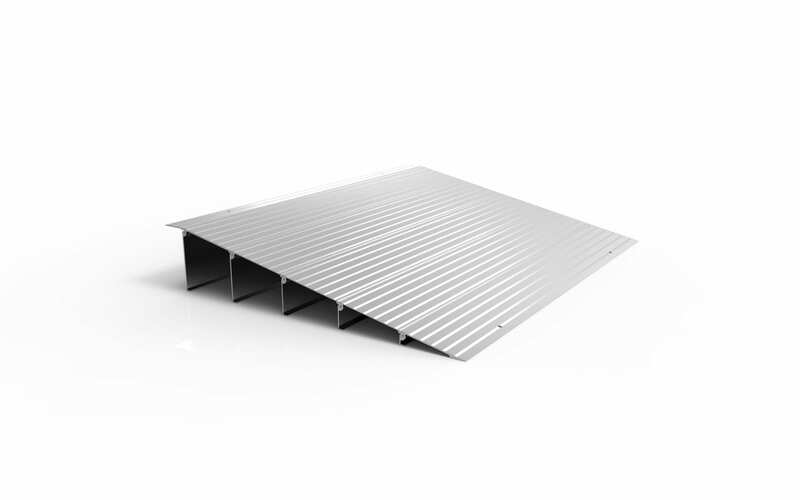 Browse through the tabs below to learn more about this ultra lightweight ramp.